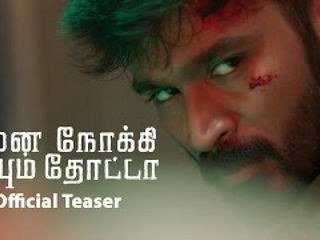 Download Enai Noki Paayum Thota Teaser, Un Mele Oru Kannu Video Songs - Rajinimurugan, Maari - Bagulu Odayum Dagulu Mari, Yaan Tamil Movie Best Comedy Scenes, Pachchai Thee - Baahubali (Tamil), Un Mele Oru Kannu, Endrendrum Punnagai Santhanam Best Comedy Scene, Inimey Ippadithan Official Trailer - Santhanam, Varsham Malayalam Movie Official Trailer HD - Mammootty, Varsham Malayalam Movie Song HD - Koottuthedi, Thaene Thaene Sendhaene, Don'u Don'u Don'u Video Songs - Maari, Maari Thara Local Video Songs - Maari, Don'u Don'u Don'u Video Songs - Maari, Maari Thara Local Video Songs - Maari, Yaendi Yaendi Video Song - Puli, Un Mele Oru Kannu Video Songs - Rajinimurugan, En Jeevan Video Song - Theri Videos For Free! Download En Jeevan Video Song - Theri video to your mobile or play it. You will certainly enjoy it's fascinating scenes. At PHONEKY Free Video Service, you can download or play mobile videos and movie clips of different genres, from Music and Sports to the Cars and Funny videos. To see the Top 10 best videos, just sort videos by popularity.